Coordinated by Scottish Refugee Council, Refugee Festival Scotland is an annual Scotland-wide programme of arts, cultural, educational, heritage and sports events that bring refugee and local communities together in celebration of the contribution refugees make to the richness and vibrancy of life in Scotland and the welcome offered to them by local people. It is the Year of Young People in Scotland. 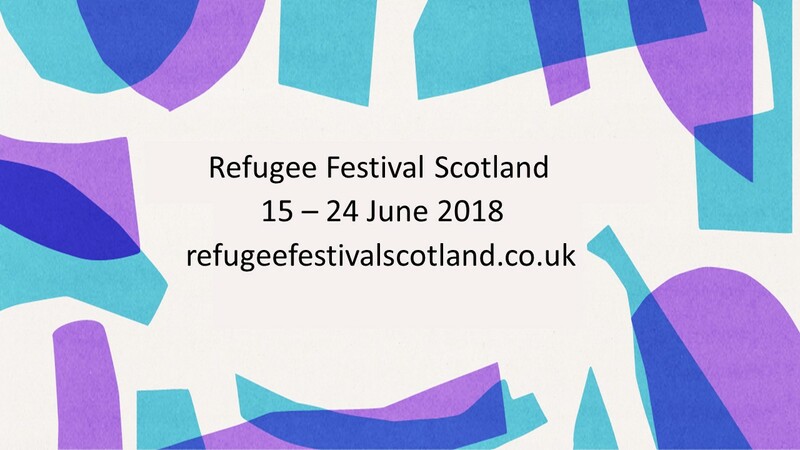 This year, Refugee Festival Scotland will celebrate the talents and potential of young people from the refugee community. The festival will provide a platform for them to claim their own identity and share their hopes and dreams for the future.